If you’re part of the cell phone repair community, then I’m sure you already know about the iPhone 6 plus touch ic epidemic. Here’s my take on the problem. In Apple’s search for the biggest, thinnest, most durable, longest lasting, and sleekest iPhone, they totally neglected the the rigidity of the iPhone 6 plus and the fact that it bends pretty easily. Since the logic board is held pretty firmly in place onto the frame with many screws, whatever bending that takes place with the frame also bends the logic board. 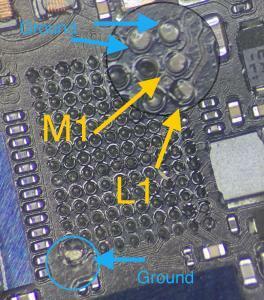 With the bending of the logic board, the ball grid array (BGA) chips seem to break free from the logic board leading to what the repair community knows as “touch IC disease”. What is “touch IC disease”? There are two chips on the iPhone 6 plus logic board that handle the touch functionality. 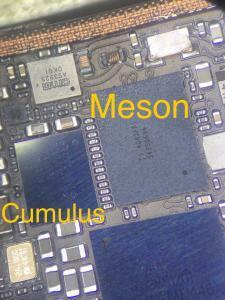 The two chips are called Meson and Cumulus to the repair community. U2401 (Cumulus) and U2402 (Meson) as they are known in the schematics. Silver rectangular chip is Cumulus and the larger black rectangular chip is called Meson. 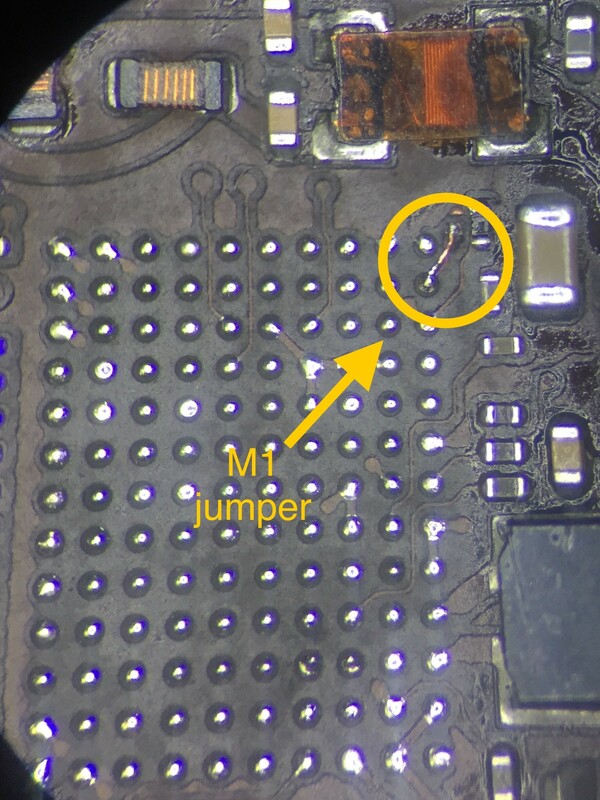 It seems as though some of the balls under the BGA chip break free from the logic board when the frame of the iPhone bends thus causing intermittent “no touch” problems. This problem has been an epidemic. It’s happening at such an outstanding rate that most microsoldering repair shops can’t keep up with the demand to repair. 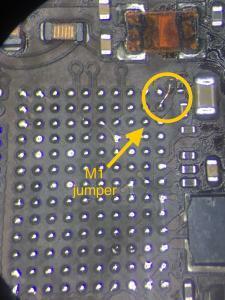 Apple really should issue a recall on the problem or perhaps, offer to fix the problem for free. The problem is a design flaw. 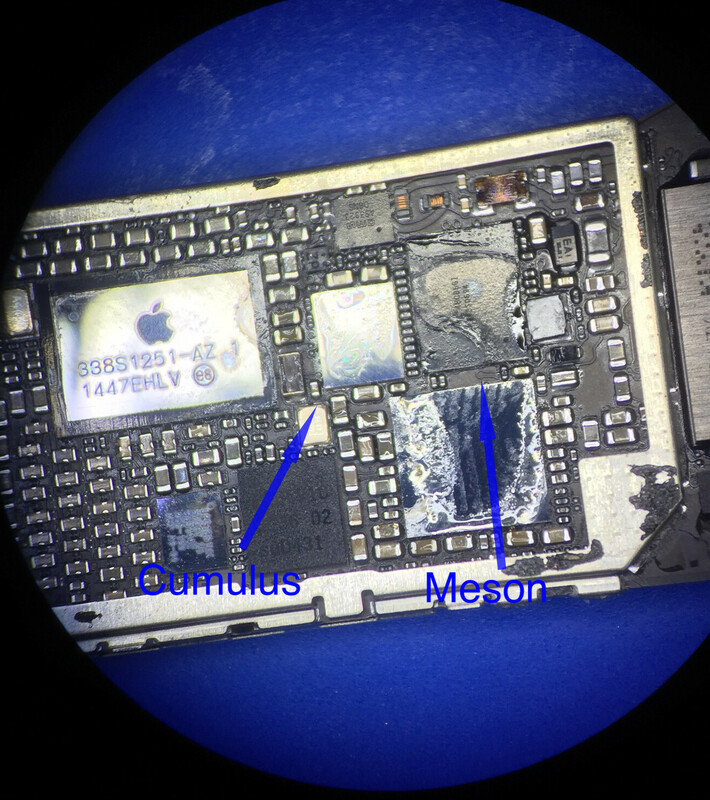 The way to fix “touch ic disease” is to remove the black chip (Meson) using heat, run a microjumper (M1) to the damaged pad and put a new chip on. The problem goes away once this has been done. We’ve repaired hundreds of these phones in our shop with great results. We now offer a lifetime warranty on this repair. If you prefer to have a professional do the repair, then feel free to contact us via our online form. Thanks for your article. How much for the repair on my 6 plus? Hi, please use the Request a Quote form. I have the exact problem you just described on my IPhhone6Plus that I purchased in the fall of 2015. I broke down in the fall of 2016 just a few weeks after the warrantly expired. No fun How much to fix it with the lifetime warranty. What are you cleaning the Flux with post solder? When do you know replace the the silver ic and not the mason? Never replace the silver IC unless you’re certain that you have the black IC in perfectly. 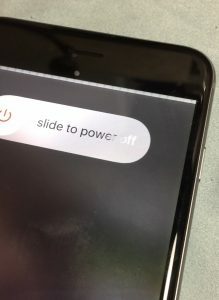 Do you fix iPhone 6 plus infinite apple logo loop i think the NAND needs to be replaced it had water damage that was fixed but after a few months this happened i tried everything and iTunes cannot recover error 4013. 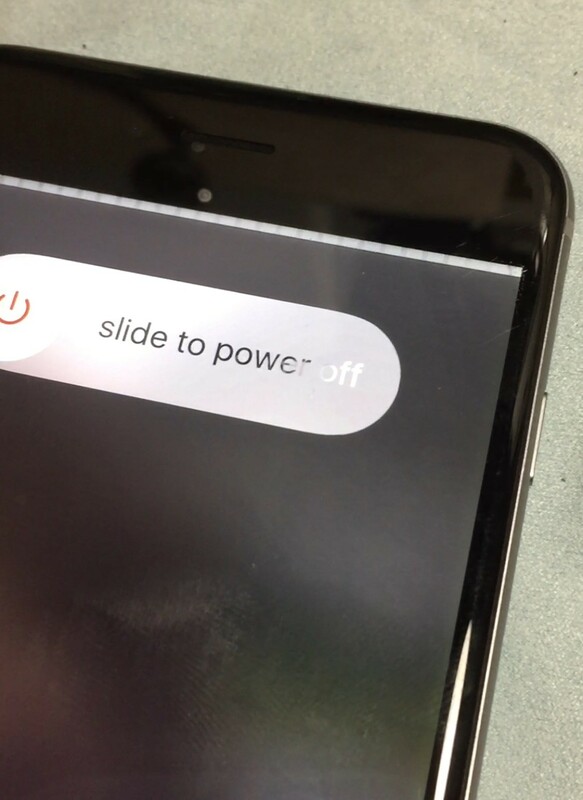 My son’s iPhone 6 screen freezes constantly, but there’s no flickering grey line at the top. Do you think it’s a different problem? Thanks! The iphone 6 does not display the signature flickering gray bar at the top, but the problem is the same. Will it fix the problem permenantly with the touch ic fix? Our success rate is close to 99% right now. When you’re iphone 6 plus start giving touch issue, do you changed both ic chips? The u2401 and u4202? And what’s the difference between the u2401 and u4202? What is the typical turnaround time for Touch IC repair, from when a customer sends the phone to when the customer receives it back? Roughly 6-9 days from when you send it. is it safe to get my screen repaired after getting the touch disease fixed? Yup, shouldn’t be a problem. Start with just u2402 (meson). If it comes back, then replace u2401 (cumulus). Which way do you fit In the chips? Do you have a particular way to set them?